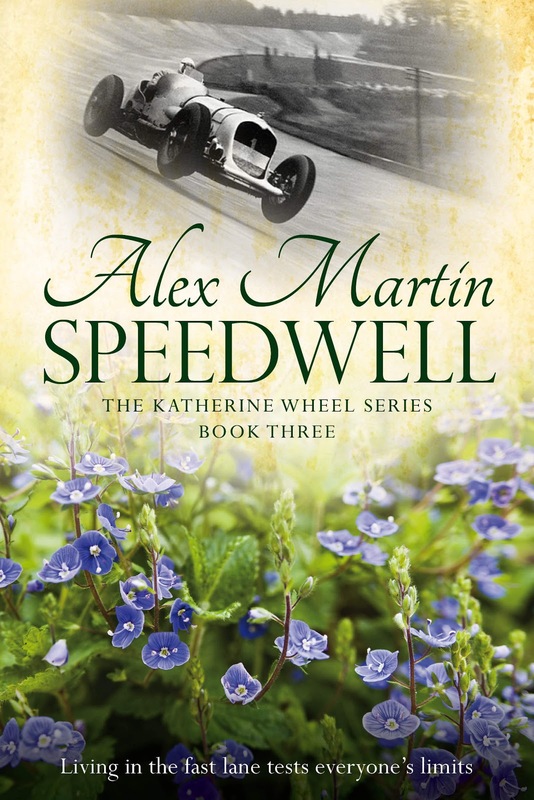 Alex Martin - In The Plotting Shed: Speedwell http://amzn.to/1SjD4cD 'Life in the fast lane tests everyone's limits' OUT NOW! Speedwell http://amzn.to/1SjD4cD 'Life in the fast lane tests everyone's limits' OUT NOW! I'm proud, anxious and excited to announce that Speedwell launches today. The third book in the Katherine Wheel Trilogy covers the exciting decade of the 1920's when the modern age was born. Rapid changes followed the first world war and its survivors had to keep up with them, whether they liked them or not. Katy and Jem enter the 1920's with their future in the balance. How can they possibly make their new enterprise work? They must risk everything, including disaster, and trust their gamble will pay off. Cassandra, juggling the demands of a young family, aging parents and running Cheadle Manor, distrusts the speed of the modern age, but Douglas races to meet the new era, revelling in the freedom of the open road. Can each marriage survive the strain the new dynamic decade imposes? Or will the love they share deepen and carry them through? 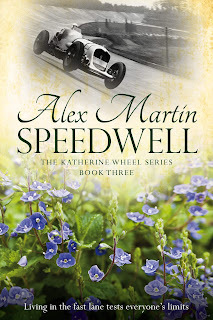 They all arrive at destinies that surprise them in Speedwell, the third book in the Katherine Wheel trilogy. and in the States its at: http://amzn.to/1LZgLVP Speedwell is available in both paperback and ebook formats.